One of the skills I was asked to teach more than anything in the four years of running our cookschool in France was breadmaking. Not fancypants bread, just a good loaf that our guests could make successfully at home with minimum fuss and maximum pleasure. Just going through the processes of mixing, kneading, proving and baking to show how easy it is the make a good loaf was something I never tired of. When we returned to England after our 10 year French adventure I vowed to make bread each week. I have to admit I haven’t stuck to this but I have gradually started to make bread regularly and with a huge sense of satisfaction. We can buy good bread here, notably from the Hobbs House bakery run by the Fabulous Baker boys, but at three quid a loaf it doesn’t come cheap. A big bag of Wessex Mill wholemeal flour costs £1.50 and is enough to make three large loaves, so it really is worth the effort. If you follow my recipe I promise you can’t go far wrong. 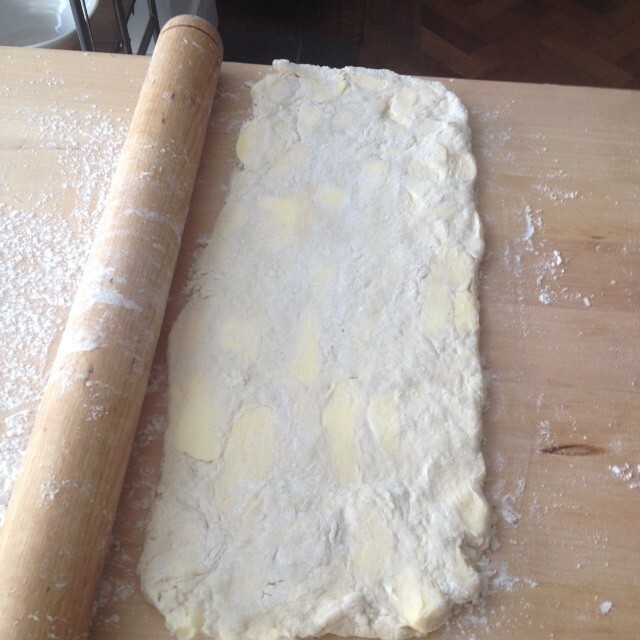 You can shape the dough however you wish, make rolls or small loaves, or even use it as a pizza base. The little tins I used to make my little loaves were picked up from a flea market but you can buy similar cutely shaped tins from Lakeland. So reach for a big bowl, follow my recipe and I promise you’ll be in for a treat. 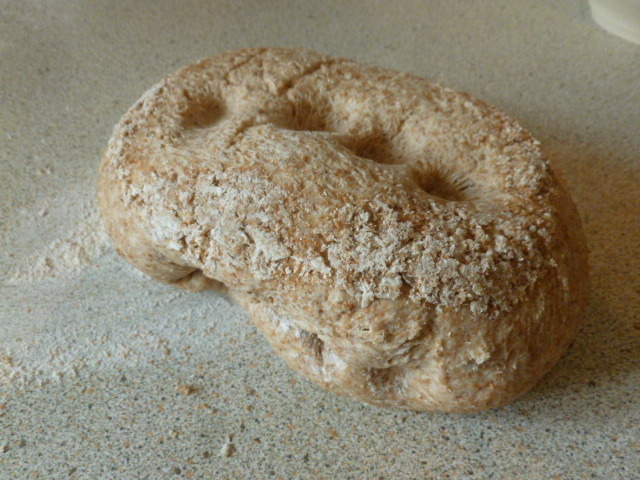 You can pick up fresh yeast from bakers or at the bread counter of most larger supermarkets. 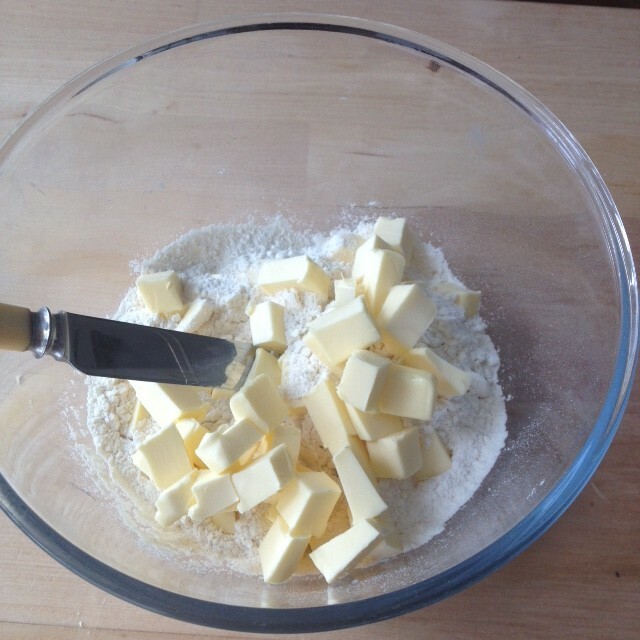 1 Tip the flour into a large bowl. If you are using dried yeast stir this into the flour. If using fresh crumble this into the flour and rub it in with your fingertips. Stir in the salt and sugar. 2 To get the water to the right temperature mix one third hot from the kettle to two thirds cold. If you are using white flour 300ml should be enough. For granary or wholewheat flours use 350ml. 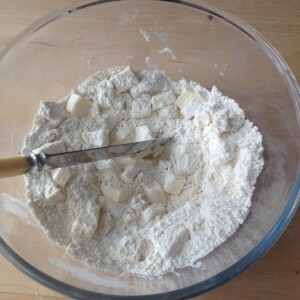 Make a well in the centre of the flour and pour in the water and oil or butter all at once. It’s better to add too much water than not enough as a tight dough will not rise well and you’ll end up with a brick. 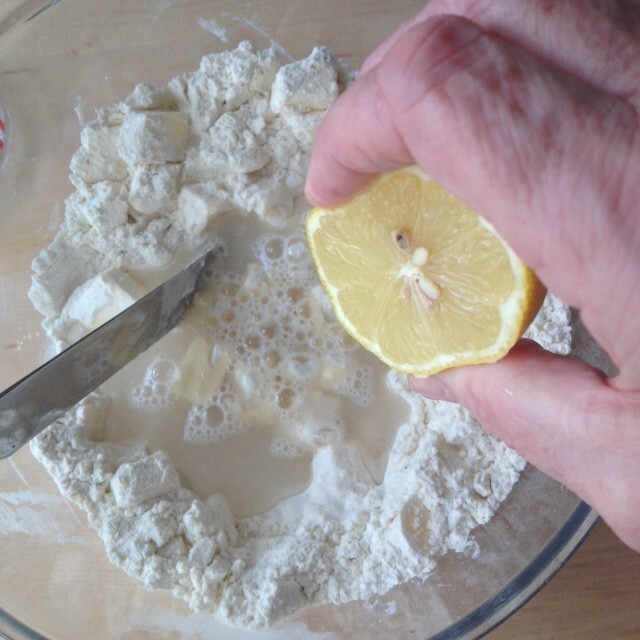 3 Mix quickly using a wooden fork or your hands until you have a soft dough. 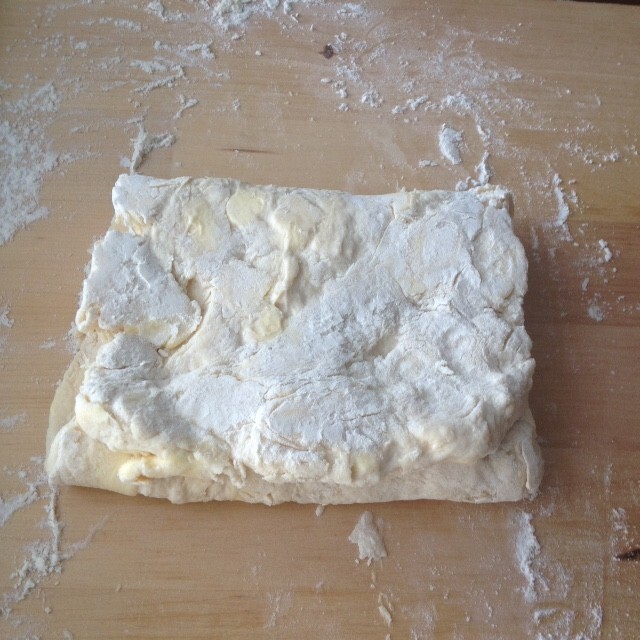 Knead the dough for 5 mins on a lightly floured surface until it feels silky and smooth and no longer sticky. 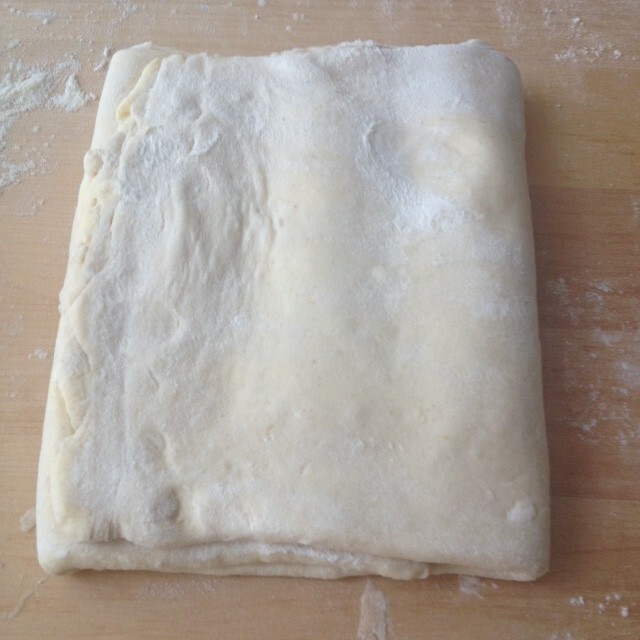 When the dough is ready it will feel springy and elastic. 4 Drizzle a little oil into your mixing bowl(no need to wash), add the dough and turn it over to coat with the oil. Cover the bowl with a teatowel and leave to rise for 1 hour, after which time it will have doubled in size and the dough will spring back when you poke it. Heat the oven to 240C/220C fan/Gas 8. 5 Shaping the dough. Tip the dough out onto a lightly floured surface and knead briefly. To make a loaf Generously oil a 1kg loaf tin. Press the dough to an oblong the length of the tin and three times the width. Fold it into three and drop into the tin. Leave to rise for 30 mins. Bake for 30-35 mins. 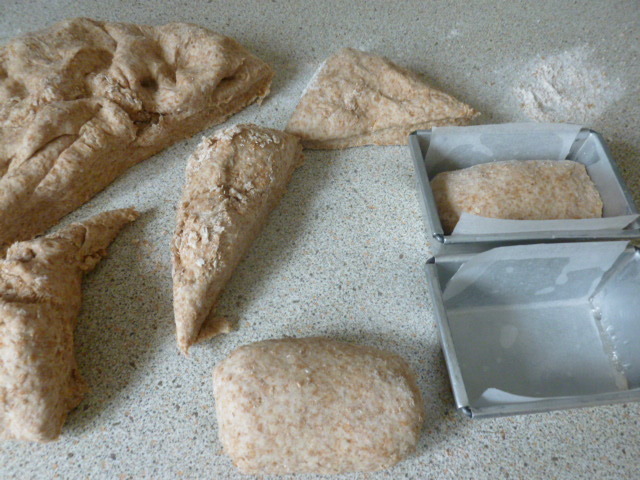 To make rolls divide the dough into 10 equal sized pieces(about 80g each) and shape into balls or drop into well oiled tins shaping as for the large loaf. Put the rolls on a floured baking sheet and leave to rise for 30 mins. Bake 15-20 mins. 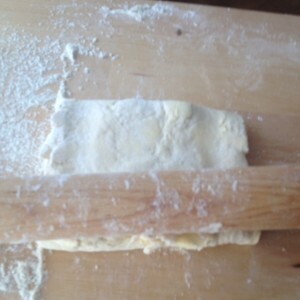 When the bread is cooked it will feel hollow when tapped on the base. Cool on a wire rack and eat within 2 days or freeze for up to 1 month. 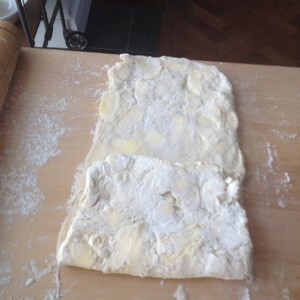 This entry was posted in Uncategorised and tagged bread, dough, hobbs house bakery, lakeland, loaf, wessex mill, yeast on 1st June 2015 by marycadogan. Yesterday was a good day. My friend Nikki (www.underthelimetree.com) who runs a veggie b and b nearby had an open day in the garden of her hilltop home. 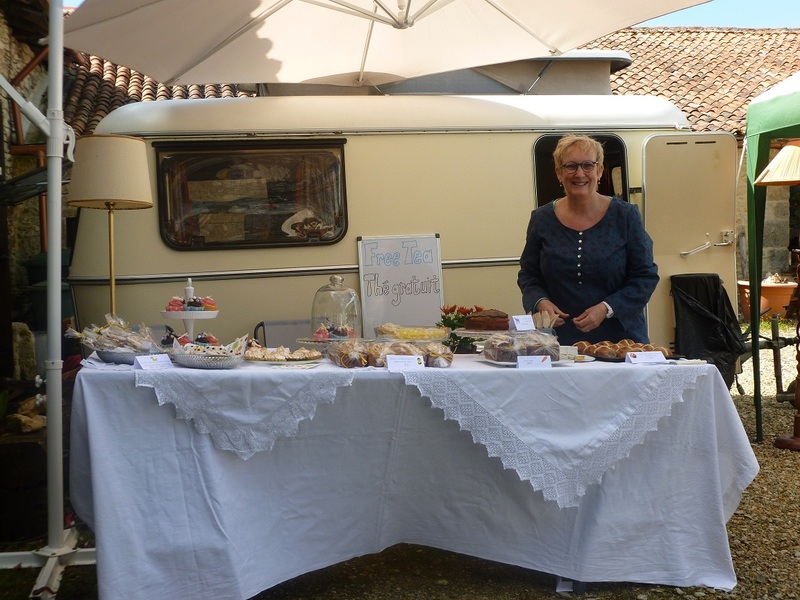 We served tea and cake from our vintage eriba caravan while Nikki offered tasters of her wonderful massage skills. 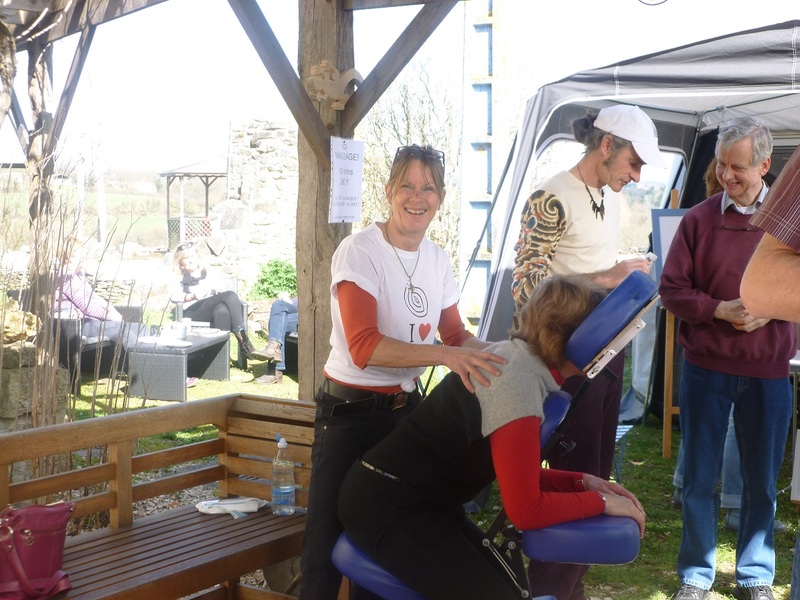 There was also tarot readings, art and photography classes to sign up to, pretty Indian scarves and jewellery to buy and best of all the sun shone all day long. I made a range of cakes and biscuits but the best seller of all were my hot cross buns made that morning. I could have made many more as I sold out quickly and the sadness was that I didn’t even get to taste a crumb. So it’s back to the kitchen to produce another batch and this time they will be all mine. I might just share one with my husband Mick as I have discovered a superstition that says sharing will ensure friendship throughout the coming year. As the saying goes ‘Half for you and half for me, between us two shall goodwill be’. Worth a try. 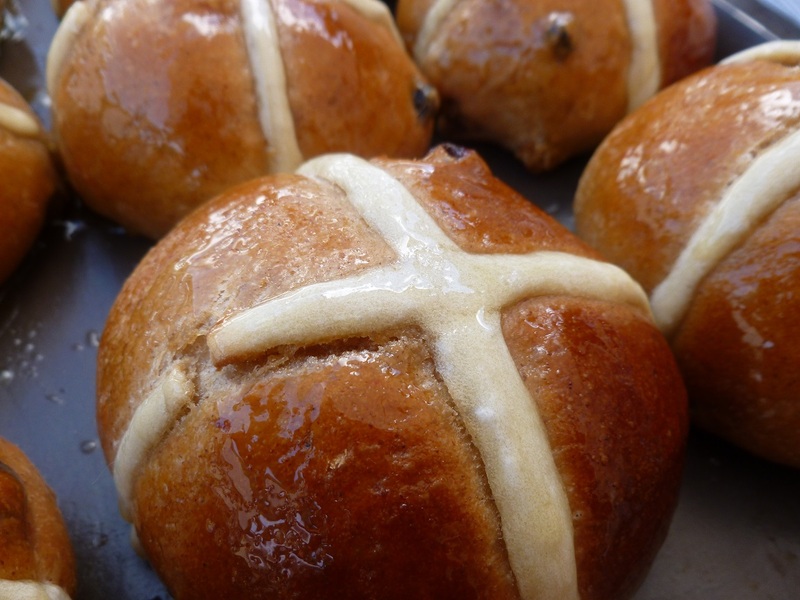 Hot cross buns are traditionally eaten on Good Friday so you have a few days to get them made. Because I wanted them to be freshly baked yesterday I mixed and kneaded the dough the day before, then left it to rise for a couple of hours before shaping it into buns and leaving in the fridge overnight. In the morning I left them for another couple of hours on the kitchen table, then piped on the crosses and into the oven they went. The smell wafting through the house as they baked was delicious torture. Here’s my recipe which I promise you will taste a million times better than shop-bought and is sheer pleasure to make- I plan to toast and butter mine for Good Friday brekkie, then maybe another on Saturday and if there are any leftover on Sunday…. Dump the whole tray of buns, warm from the oven, onto the centre of the table for everyone to tear off and butter as they will. If you feel a baking urge now they will freeze beautifully and reheat well. 1 Mix the flour, salt, sugar and spices in a large bowl. 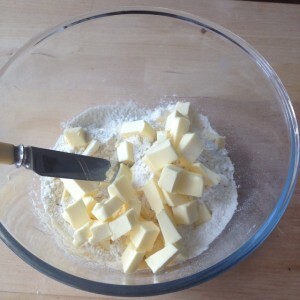 Add the butter, cut into small pieces and rub in with your fingertips. Stir in the yeast and dried fruit. Heat the milk and water mix to lukewarm, then stir into the mixture to make a soft dough. 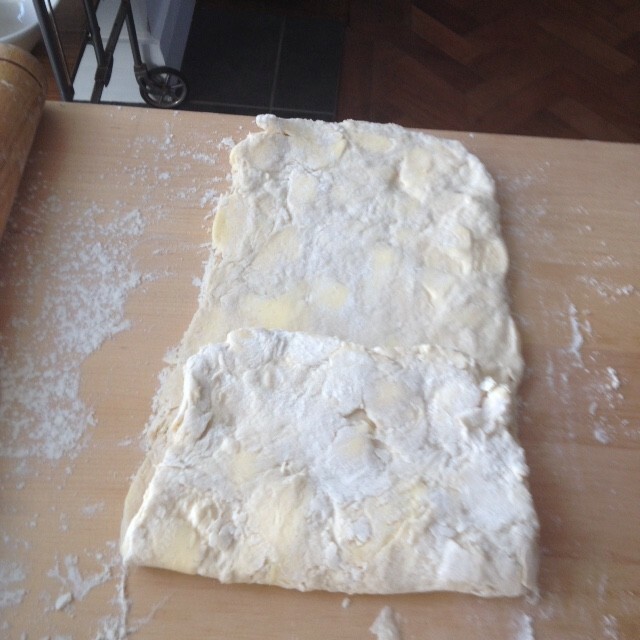 2 Turn the dough out onto a lightly floured surface and knead for 5 mins until it is smooth and no longer sticky. Divide into 12 equal sized pieces and shape each into a small ball. Set in rows,a little apart, over a lightly buttered baking sheet. Cover with oiled polythene(a large food bag is perfect) and leave to rise for 2 hours. 3 Heat the oven to 200C/fan180C/Gas 6. 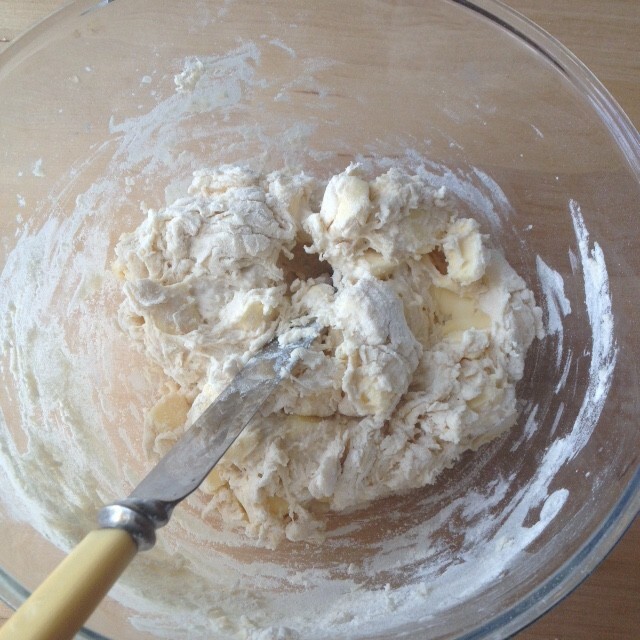 Blend the flour in a small bowl with 2 tbsp cold water to make a smooth paste. Spoon into a small food bag and snip off the corner. Pipe a cross on top of each bun. Bake for 20-25 mins until the buns are nicely browned and sound hollow when tapped on the base. 4 Remove to wire rack. Gently heat the syrup then brush thickly over the buns to serve. This entry was posted in Uncategorized and tagged bread, chocolate, easter, good friday, hot cross buns on 25th March 2013 by marycadogan.